This quick tutorial shows you how to install the latest AVR Downloader/UploaDEr 6.1 in Ubuntu 14.04 while Software Center provides an old version. AVRDUDE, stands for AVR Downloader/UploaDEr, is software for programming Atmel AVR Microcontrollers. It provides a command-line interface for all downloading and uploading features. 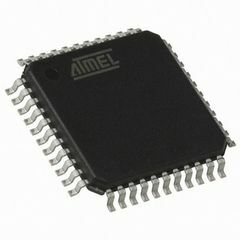 Supports a wide range of programming hardware, from cheap ISP plugs that connect the AVR’s ISP interface directly to a computer’s parallel port or serial port. Supports Intel Hex, Motorola S-Record, and raw binary files for input and output. Atmel DFU, using FLIP protocol version 1 (AT90USB and ATmega*U* devices), or version 2 (Xmega devices) support. Atmel-ICE (ARM/AVR), JTAG, PDI, debugWIRE, ISP modi support. OS X: Avrdude messes with the usb stack? (Some) programmers can take a list of USB PIDs now. Once installed, run man avrdude to get help or read the documents. It looks like this repository only has Avrdude 6.0.1 – which does not support the atmel-ice programmer.